The long hot days of summer have arrived and it’s the perfect opportunity to break out the home bar – especially if you’re entertaining family and friends this holiday season. When it comes time for a few refreshing cocktails there are quick and easy recipes aplenty for any spirit-based tipple. Summer holidays are the time to sit back, relax and let the bitters do the talking. Gin is an essential summer spirit. Light, delicate and floral; adding bitters to gin cocktails highlights the drinks top notes. For instance, the renowned Gin & Tonic is a worldwide favourite that can be enhanced with just a few dashes of bitters – 30ml gin and 60ml tonic over ice, then add a few dashes of aromatic bitters to taste for a more profound flavour. Alternatively, gin lovers can give ‘the original’ two-ingredient Pink Ginclassic a go. Splash a few drops of Angostura aromatic bitters into an Old Fashion glass, roll them around until the inside is coated, pour out the excess and pour in the gin… because good taste doesn’t need to be complicated. Generally clean and lean, adding a few splashes of bitters to vodka cocktails gives it a much more discernible flavour. A simple Vodka Martini,made of 60ml vodka and 22ml dry vermouth can be balanced nicely with an added dash of Angostura aromatic bitters. 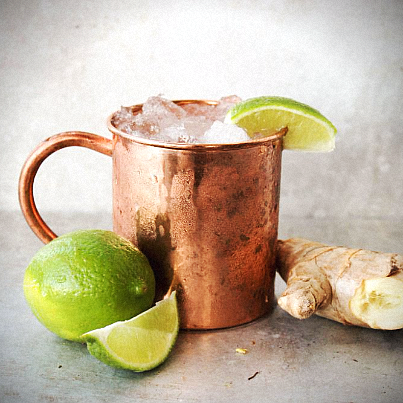 But, if your vodka loving guests are looking for something a little bit more complex try the Moscow Mule – a refreshing mix of vodka, ginger beer and lime with bitters, of course.